Whether you need one for health reasons or you just want to create a more pleasant living environment, a dehumidifier can make an enormous difference to your quality of life. Our extensive collection of dehumidifiers spans a wide range of price points, allowing you to find a model that suits your needs and budget. Accessibly priced dehumidifiers like the popular Essentials C10DH16 offer a simple but effective means of controlling the atmosphere in any room you like. Utilising an efficient compressor to eliminate moisture in the air, the C10DH16 delivers transformative results with remarkably little effort. Simply turn it on to improve humidity levels and keep your home drier. If you're looking for a more advanced dehumidifier, we've got plenty of models that feature advanced technology to give you even more control over your atmospheric conditions. 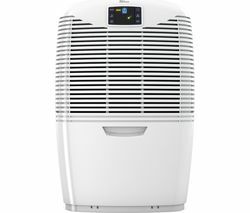 The Meaco D8L Zambezi dehumidifier delivers exceptional air purification thanks to patented air-sterilising technology that sterilises every breath of air you take and keeps the immediate environment free from harmful pathogens. What's more, this ingenious dehumidifier can regularly sample the air and adjust its power usage based on the humidity, ensuring efficient performance at all times, even when you haven't got time to monitor it. 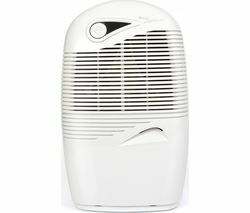 Whichever dehumidifier you choose, you'll find that it can be a versatile addition to your home or office space. 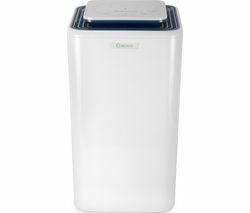 Not only do our dehumidifiers help to eliminate damp, mould and odours, they can minimise the impact of allergens and accelerate the time it takes to dry your laundry. 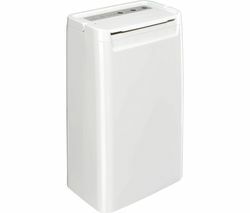 Install a dehumidifier and your home, body and laundry will all benefit from the investment. Our extensive range includes the latest models from all the leading brands, including Ebac dehumidifiers and Meaco dehumidifiers.